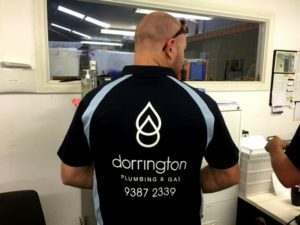 Looking for a Prompt and Reliable Gas Fitter to service, repair or perform a gas installation in your home or business? We’d LOVE to do that for you! Basically, if you use (or would like to use) gas in your property, you’ll require the services of a licensed gas fitter. All gas related work has to be carried out by a licensed contractor. Not only unlicensed gas work is illegal, it is unsafe! Because safety is an issue we highly prioritise, you can expect that we will ensure that all appliances and connections are safe for you to use and will not pose any danger to you or your loved ones. We understand that gas is a volatile material, therefore we will provide an emergency service that you can call on 24/7 in the unfortunate event that a gas leak, split pipes, etc were to happen in your property. Why Choose Our Gas Fitters? I had been drawing out this job for months. Steve knew exactly where we left off from the previous conversation. The guys were able to get over to my place even though it was a last minute emergency call. I love these guys. It pays to go with Dorrington’s. We want you to be totally happy with our work!